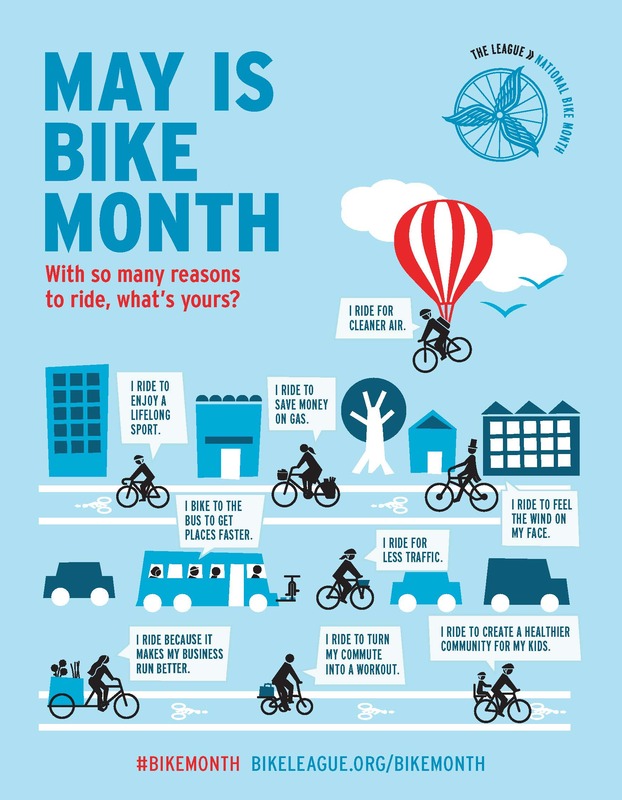 National Bike To Work Week is May 16-20, and Sitka residents are encouraged to get on their bikes and ride this week. Also, Friday, May 20, is National Bike To Work Day. Forty percent of people have commutes of less than two miles, which makes cycling to work about as time-consuming as driving. Not only is biking to work healthy, but it reduces pollution in the environment. Commuting by bike also is a great way to jump-start your day with a short workout. This year, those cyclists who ride their bike to work, school or on errands during National Bike To Work Week can fill out tickets at Yellow Jersey Cycle Shop for a chance to win a couple of prizes. There is a $100 gift certificate from Yellow Jersey and a $50 massage certificate from Oceanside Physical Therapy as the top prizes, with other prizes possible. The prize drawing will be at the Julie Hughes Triathlon on May 21. You fill in one ticket for each trip to work by bike. In addition, the Sitka Bicycle Friendly Community Coalition will meet at noon on Friday, May 20, at the Larkspur Café to finalize plans for the Sitka Community Bike Ride. 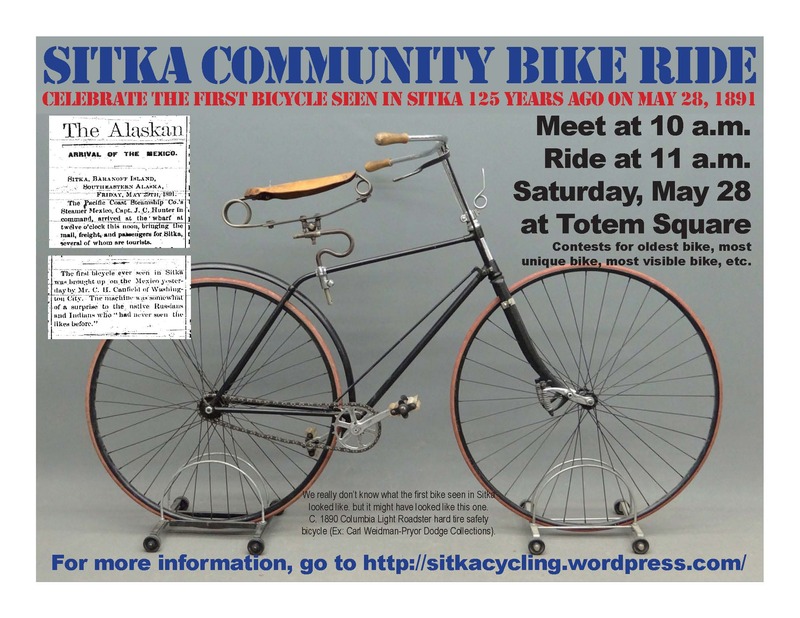 The Sitka Community Bike Ride takes place at 11 a.m. on Saturday, May 28, with a ride through downtown Sitka to celebrate the 125th anniversary of the first bike seen in Sitka (on May 28, 1891). 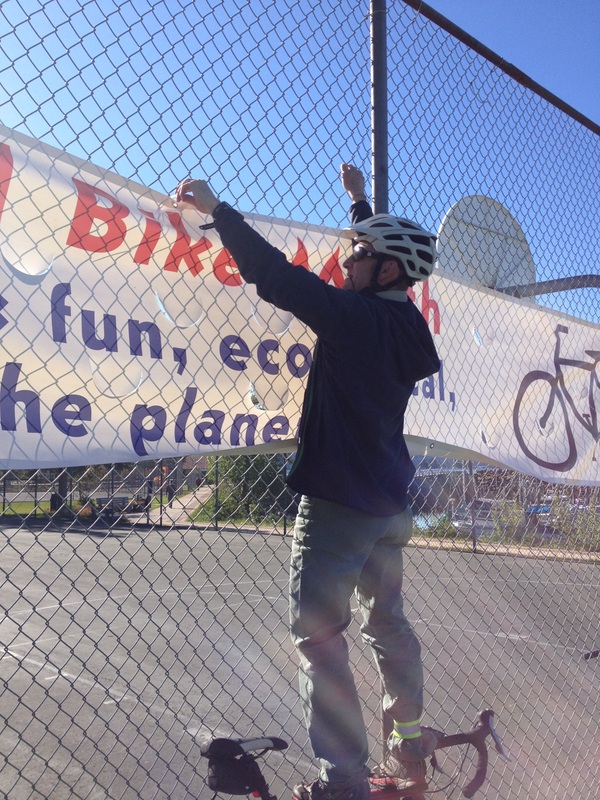 We will meet at 10 a.m. at Totem Square, where there will be bike mechanics doing minor maintenance (checking tires, oiling chains, adjusting seats, etc. ), people fitting bike helmets, and a variety of contests (such as oldest bike, most visible bike, most unique bike, etc.). We also will have an update later this week on the results of Sitka’s Bicycle Friendly Community renewal application, which was submitted in February. We were Alaska’s first Bicycle Friendly Community in 2008, and the first to renew in 2012, earning a bronze award both time. We are hoping to upgrade our status from bronze to silver or gold. For more information, contact Doug Osborne at 747-0373 or Charles Bingham at 623-7660.